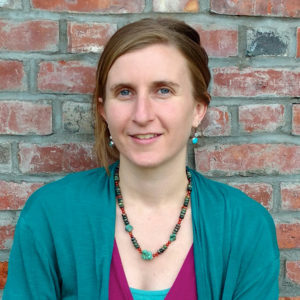 Bonnie Hudspeth leads Co-operative Development for the Neighboring Food Co-op Association (NFCA), a network of more than 35 food co-ops and start-up initiatives with a combined membership of over 140,000 people across Vermont, New Hampshire, Connecticut, Massachusetts, Rhode Island, and Eastern New York. NFCA supports the growth, innovation, and shared success among our member food co-ops in the Northeast United States. Prior to joining the NFCA, Bonnie served as Project Manager for the Monadnock Food Co-op, creating the founding organizational structure and overseeing pre-operational development and fundraising to create a co-operatively owned grocery store in Keene, NH that opened in April, 2013. She serves as Vice President of the Board of The Cooperative Fund of New England (CFNE), a community development loan fund that facilitates socially responsible investing in co-operatives, community-oriented nonprofits, and worker-owned businesses in New England and adjacent communities in New York. Bonnie holds a master’s degree in Sustainable Community Development through Antioch University New England.